Bangles have always been a part of India's heritage since medieval times. Any occasion, be it a marriage function or a friendly get together, these items are an indispensable part of a womens life. 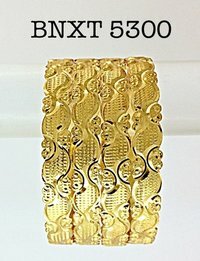 Keeping this tradition alive, we, at Sapna Art are offering some of the most charming and sassy range of Polo Bangles, Brass Engraved Bangles and Fashionable Bangles since our inception in 1991. Winning great many accolades for our commitment and diligence, our firm has attained the name of being a highly reliable Wholesaler/Distributor, Supplier and Exporter. 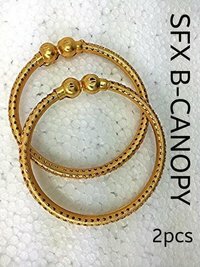 Sapna FX presents fancy brass bangles for women.